Hey hey! Today’s news from Cart2Cart Team can cheer up a part of e-Commerce community. Now e-merchants are allowed to perform a switch from ePages. Just choose an alternative from our long list of supported shopping carts and get a new catchy e-shop in a couple of hours. Used in over 75 countries ePages tries to provide advanced features for online stores. It is known as easy-to-use solution offering 15 languages and all currencies. However, basic SEO features and limited opportunities for growth are not really satisfying its users. These facts usually become the reasons to migrate from the shopping cart. We have kept nose to the grindstone and made possible data transfer from ePages to any of 55+ supported e-Commerce solutions. So, enjoy migration that requires no technical skills and takes only a few hours. Don’t forget about the chance to try free Demo Migration and check the service’s functionality. 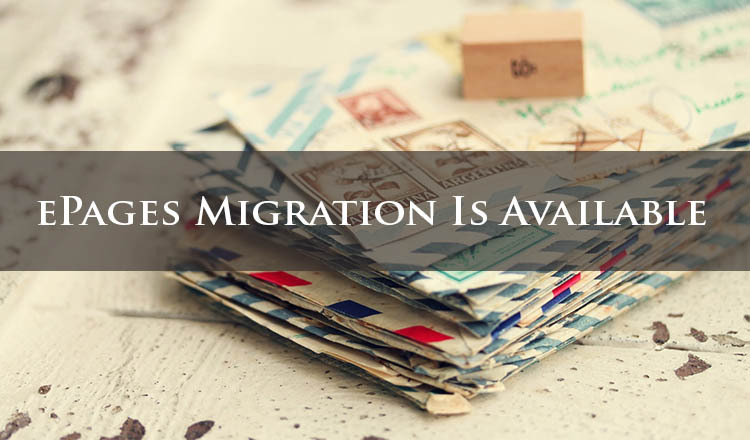 Therefore, extend your business opportunities with migration from ePages. Register a new Cart2Cart account and meet customers demands.